1. TV is the best cure for boredom. It is "the path of least resistance to doing nothing." As a result, we watch a lot of it. 2. What do we do when we are bored and tv isn't available? Cuban believes "social games are the non TV cure for boredom... 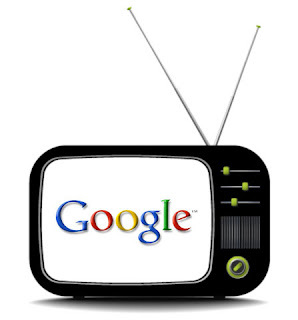 So what do Apple TV IOS and Google TV Android platform offer ? That’s right. Social Games on your TV. There in lies their Holy Grail to competing with TV." Cuban argues that by creating these compelling games, Google and Apple can pull people away from watching tv programs to playing games on their television via these platforms. Obviously, we've had games on our television for decades... starting way back when with Atari, Nintendo and Intellivision... the difference being that there wasn't a social component to those games, other than the other participants in the room. Cuban predicts: "the law of numbers says someone will come along and invent a game, played best on your TV through one of these boxes, that catches the imagination of tens of millions and is played on TV nationally or maybe even globally. It’s not inconceivable that this game will release new features, some Power Ups or unique incentives if you tune in at 8pm EST on thursday night." I agree with Cuban that Google and Apple shouldn't compete in the same "tv space" by creating the same content as traditional tv and competing on that level. They need to enhance the experience of sitting in front of a television in a compelling way. However, I don't completely agree with the original premise that using your PC/Smartphone/Device is the alternative to curing boredom when a tv isn't available. The median age for tv viewers has been increasing for years and hit 51 this year. The coveted eyeballs of the 18-49 age group is watching less tv to cure their boredom. Advertising dollars are being moved to the web. Google and Apple will not only need to get people to stop watching tv programming to switch to what they're offering on tv, they will need to entice a larger group of people off their computers, mobile phones and gaming systems, which seems like a much more difficult challenge. While visiting my nephew at college this past weekend he was asked why he doesn't have a tv in his dorm room. He responded, "what for? whatever I want to watch on tv is on my computer." The under 51 crowd may be gone forever. As to the over 51s... perhaps Google or Apple can lure those tv viewers away from watching tv with the interactive social game: "Murder, She Tweeted."